Rhone, Odiel and Guadiana now have the option of ready-to-wear caps in wood from PEFC- and FSC-certified forests. 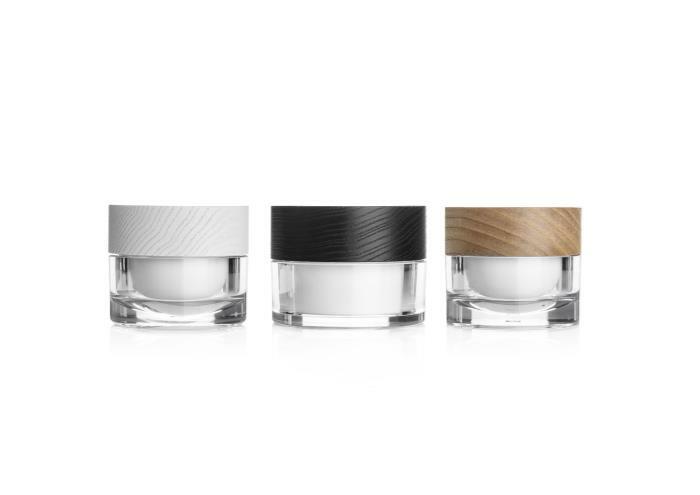 With the jars manufactured at Quadpack Plastics, the caps made at Quadpack Wood and the decoration and assembly carried out at Quadpack Impressions, brands can enjoy unprecedented levels of customisation. The packs are part of the Q-Line range of smart, modular solutions for beauty packaging. With a wide range of components designed to work together for a perfect fit, brands have the freedom to mix and match, while benefiting from optimised development for rapid time to market. The jars will be available soon.